is-it-time-to-hire-an-accident-attorney | Robert W. Elton, P.L. Most accident victims assume that they do not need an accident attorney. Whether it is a fender-bender or a serious accident, do not discount the value of hiring a professional. An accident lawyers Daytona Beach can help you recover funds for medical bills, property damage, and even pain and suffering. They also have in-house investigative teams that prove your claim and can represent your rights against insurance companies. If you do not think you need an attorney, here are five signs it is time to call in the help. Anytime severe injuries or deaths occur in an auto accident, an attorney is needed. These complex litigation situations require the assistance of an expert. Not only will you have multiple legal hoops to jump through, but you need to argue for a large settlement amount; one that requires the expertise of an attorney. Your attorney can calculate your losses and argue on your behalf so that you can focus on recovery. Perhaps the accident had multiple vehicles or there are multiple parties responsible for the accident. Regardless, you need an attorney. The lawyers can make sure you are only responsible for your share of the accident (if applicable) and hold all other parties responsible for theirs. If the party that caused the accident was uninsured, you only have so much uninsured motorist coverage on your policy. You may need to sue that party for the additional costs, including long-term medical costs (if applicable). An attorneys can assist you with your civil suit. You may need additional evidence to prove your case. An attorneys has the access and team members to do the legwork and gather evidence proving that you were injured and the other party is responsible. You should never accept a settlement without talking to an accident attorneys in Ormond Beach. A lawyer can negotiate with insurance companies, and often insurance companies are offering you significantly less than you deserve. If you or a loved one was injured in an accident, regardless of how small, you should not have to pay the bills for someone else’s negligence. Consult to our Daytona Beach Car Accident Attorneys at the Law Offices of Robert W. Elton today. We offer free consultations, so call us at 386-274-2229. Previous post: “Beware of Dog” – Is the Owner Protected from Lawsuit? 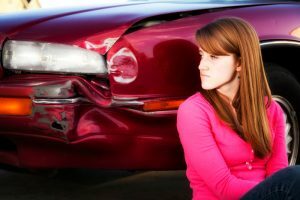 Next post: What Damages Can I Recover after a Car Accident?